Mistreatment of Political Prisoners in Cuba Research Papers delve into Cuba's background on abusing political prisoners and the charges of human rights violations by people. Foreign countries that hold political prisoners need to be examined and researched closely. 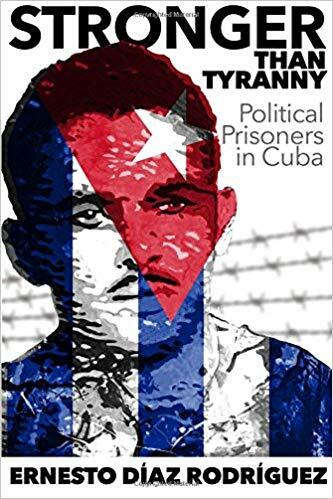 Writing a research paper or proposal on a subject such as the mistreatment of political prisoners in Cuba is an excellent topic for an international politics. Have Paper Masters custom write your research project. Cuba admits to holding many political prisoners in its jails. Over the years, several individuals and international organizations have accused the Cuban government of mistreating these political prisoners. This paper will examine the mistreatment of political prisoners in Cuba, including its background and charges of respect human rights violations made by groups and individuals. This discussion will demonstrate that although evidence is limited, there is reason to believe that political prisoners continued to be mistreated in Cuba. Of the more than 20,000 prisoners in Cuba, a relatively small percent are political prisoners. The Cuban Commission for Human Rights and National Reconciliation report found that the number of political prisoners in Cuba rose from 210 in late 2001 to 230 during the summer of 2002, with 339 political prisoners held in 1999. The actual treatment of these prisoners is often difficult to determine because Cuba is "one of the few countries in the world" that does not allow "the International Red Cross and other international humanitarian organizations access to its prison system". In addition, the Cuban government does not comply with United Nations norms for the treatment of prisoners, which implies mistreatment. Cuba has not yet signed the convention against torture, and hundreds of political prisoners remain in detention. Nevertheless, Cuba defends its record with political prisoners, claiming it offers its prisoners better conditions than any other Latin America country. In a May 1991 speech, President George Bush asked Castro free political prisoners in Cuba and allow the United Nations Commission on Human Rights to investigate possible human rights violations in Cuba. According to a 1995 Amnesty International report, hundreds of political prisoners were rotting in the "Cuban Gulag" . Perhaps most telling is the case of Cuban political prisoner, Jorge Luis García Pérez, who began a hunger strike in February 2002, to draw attention to human rights abuses of political prisoners in Cuba . The specific goal of Perez's hunger strike was gain "medical attention, religious support, adequate nourishment, and the cessation of all forms of mistreatment and abuse to which those confined in the prisons and jails of this country are subjected". As the above discussion demonstrates, there is evidence from organizations and individuals that political prisoners in Cuba are mistreated. Because the Cuban government does not allow investigators to observe the conditions of political prisoners, it is difficult to determine the extent of this mistreatment. Abu Ghraib Prison Scandal - The Abu Ghraib Prison Scandal occurred on April 28, 2004, when CBS’s “60 Minutes” broadcaster photographs of U.S. military personnel torturing and humiliating Iraqi prisoners, many of whom were civilians who had not yet been brought to trial. War Crimes - War Crimes term papers examine the violations of international humanitarian law. Peacekeeping and Humanitarian Intervention - Peacekeeping and Humanitarian Intervention research papers examine the peace building in sovereign country. Functions of the UN Security Council - Functions of the UN Security Council research papers list the duties and responsibilities of the United Nations Security Council. Humanitarian Response to New Orleans and Hurricane Katrina - Humanitarian Response to New Orleans and Hurricane Katrina Research Papers look at an example of an order placed on the history of New Orleans and flooding and hurricane preparedness. Universal Declaration of Human Rights - Universal Declaration of Human Rights research papers overview the United Nations adoption of the laws that protect basic human freedoms. China and Human Rights Abuses - China and Human Rights Abuses research papers look at China's long history of abuses in the area of human rights. Human Rights Watch - Human Rights Watch research papers examine a non-governmental organization, founded in 1978 and dedicated to research and advocacy regarding human rights issues around the world. Social Justice - Social Justice research papers discuss the human thought that individuals should be accorded equal access to opportunities and privileges within a society. Equal Rights - Equal Rights research papers go into the struggle for equality and human rights in the Western Civilization throughout the centuries. Reproduction: Rights and Justice Research Papers look at reproductive rights with its connotation of abortion as a choice. Social and Economic Justice research papers examine a variety of approaches to social and economic justice, including conservative, liberal and radical. Cheap Labor Debate research papers explore both sides of the cheap labor debate. Civil Liberties research papers discuss the freedoms that are guaranteed to not be abridged by a government. American Civil Liberties Union custom research papers discuss the nonpartisan, nonprofit organization that focuses on freedom of speech issues and has expanded its size and scope over the decades. German Prisoners of War - How to write a custom research papers on German Prisoners of War in the Soviet Union and the United States. Paper Masters writes custom research papers on Mistreatment of Political Prisoners in Cuba and delve into Cuba's background on abusing political prisoners and the charges of human rights violations by people.